What changes will make the 2018 Chevrolet Trax different? Probably little more than a new paint color or two — and higher asking prices. Expect Chevrolet’s entry-level crossover SUV to maintain a holding pattern for model years 2019 and 2020, pending a redesign for model-year ‘21. After going on sale overseas for 2013, Trax came to the U.S. for model-year 2015 as Chevy’s subcompact-crossover rival for the likes of the Subaru Crosstrek, Jeep Renegade, and Honda HR-V. Beneath the sheet metal, it’s a mechanical twin to the similarly sized but higher-priced (and better selling) Buick Encore. Both share a General Motors global platform with the Chevrolet Sonic subcompact car, but the Sonic is made in the U.S., while Trax and Encore are imported from South Korea. Demand for subcompact crossovers cooled a bit during the second half of 2017, but the overall segment is still up about 8 percent versus 2016. Trax sales were essentially flat, but it still finished in fourth place among a dozen direct competitors. To see if Chevy makes driver aids such as forward-collision warning and lane-departure alert available on the LS model, the least expensive of the three Trax trim levels. For 2018, these were standard on the top-line Premier grade and optional on the best-selling model, the midgrade LT. Better yet, we’d like to see today’s key safety feature, autonomous emergency braking, made available on any Trax (it’s not offered on the Encore, either). Otherwise, if you like today’s Trax, it’s hard to see a reason to wait. Chevy updated interior and exterior styling for model-year 2017, then added some standard equipment to the Premier for 2018. That should carry this crossover through to its next full redesign, likely for model-year 2020. It also means buying a 2019 Trax gets you one whose design has a short shelf life. Expect the 2019 model line to mirror the 2018, with every Trax again fitted with a turbocharged four-cylinder engine and a choice of front-wheel drive or optional all-wheel drive (AWD). If an easy-to-maneuver and convenient-to-park crossover that’s affordable and economical fits your transportation needs, the 2018 Trax is worth considering. It’s far from the best looking, fastest, or roomiest entry in the class. And don’t seriously consider taking it off road. But this five-seater is quiet, rides smoothly, and has a nice array of available features. Barring alterations to available safety features, you’d be paying less for an ’18 than you almost certainly will for the hardly changed 2019. Even then, factory incentives are almost a constant. And don’t dismiss Chevy’s vast dealer network that gives to access to service around virtually any corner. No, aside from perhaps a new color choice or two. For 2018, Chevy added Storm Blue, Sandy Ridge metallic, and extra-cost Cajun Read Tintcoat. This followed more substantial model-year 2017 updates that included a new grille and front fascia and available LED taillights. That cleaned up the looks, but at 5-1/2 feet tall and a bit less than 14 feet long, Trax is still somewhat oddly proportioned. The benefit of that tall roofline, though, is a cabin more spacious than the exterior size suggests. Headroom is outstanding all around. Front-seat legroom is very good, too. Chair-like rear seating helps prevent a knees-up posture, but legroom is still at a premium for taller occupants. Three-across in back is a squeeze, unless a least one of the occupants is a child. 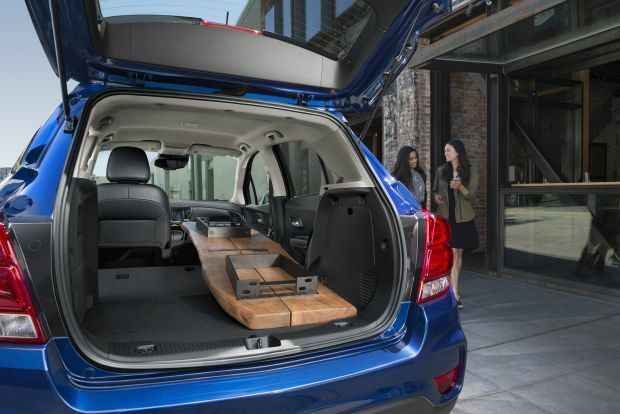 Cargo volume is in the lower half of the competitive set, with 18.7 cubic feet behind the rear seatbacks and 48.4 with them folded. A standard fold-flat front-passenger seat helps accommodate longer items. The 2017 freshening also replaced the 2015-2016 models’ motorcycle-style instrument panel with a conventional gauge cluster. The infotainment system was refined with the latest version of the brand’s intuitive MyLink interface and added support for Apple CarPlay and Google Android Auto. Trax helped usher in the post-CD-player era; Chevy correctly reckons the young people to whom they’re marketing this crossover are music-streamers. Speaking of smartphones, that’s the only way you can get GPS mapping to appear on the infotainment screen. You can access it through Apple or Google Maps, or you can pay a small fee for the BringGo navigation app. It’s convenient and certainly less costly than most factory-imbedded systems, but the downside is that mapping won’t work in areas where there’s no cellular service. Expect none of this to change for model-year 2019. Again, unlikely. The sole engine will almost certainly continue to be a 1.4-liter turbocharged four-cylinder with 138 horsepower and 148 pound-feet of torque. It’ll again pair with a 6-speed automatic transmission. The similar Buick Encore offers a version of this engine with 153 horsepower and 177 pound-feet of torque. We’d like that engine for the Trax, although the current model has adequate acceleration around town, and there are enough ponies in the stable for reasonably worry-free highway merging. The transmission operates smoothly but is occasionally slow to downshift when more power is needed. 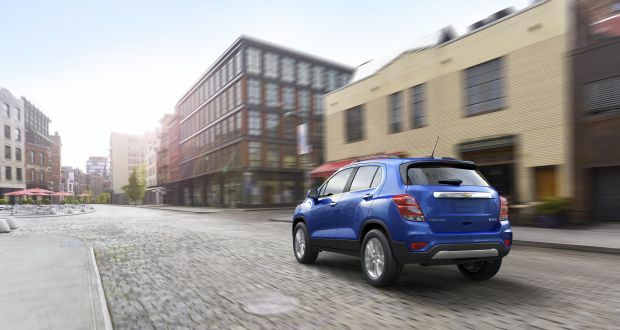 It’s not the quickest entry in the class, but Trax is a leader for overall refinement. The engine purrs when accelerating and fades to near silence on the highway. Wind noise is impressively low – a laudable accomplishment given Trax’s height. The LS and LT come with 16-inch wheels and tires that furnish exceptional ride quality, considering this crossover’s short wheelbase (the distance between the front and rear axles.) Eighteen-inch wheels and tires are standard on the Premier and included as part of the LT’s optional Redline Edition Package. They provide sharper turn-in and better cornering grip but sacrifice the 16’s ability to comfortably absorb pavement imperfections. We’re not certain it’s a worthwhile tradeoff. All-wheel drive adds a measure of confidence on wet and snowy pavement, but the only credible off-roaders in this segment are the Renegade and Crosstrek. Almost certainly not. For 2018, front-drive Trax models rate 25/33/28 mpg city/highway/combined, according to the EPA. AWD lowers those ratings to 24/30/27. Neither is outstanding in the competitive set. All models would continue to use regular-grade 87-octane gasoline. Only if Chevrolet elects to make driver-assistance features standard on all grades. While forward-collision warning, lane-departure alert, and blind-spot/rear cross-traffic detection are available on the LT and Premier, autonomous emergency braking is not, at least on 2018 models. Don’t expect the latter to be offered until the next-generation Trax debuts. Without autonomous emergency braking, Trax is ineligible for one of the industry’s most prestigious honors: Top Safety Pick from the Insurance Institute for Highway Safety. Should you get in a crash, you can count on being reasonably well protected. Trax scores well in US government tests and comes standard with 10 airbags, including some that can protect the torsos of rear-seat occupants, which is an unusual feature for the class. LS grades include the usual complement of power accessories, along with a fold-flat front-passenger seat, CarPlay, Android Auto, and imbedded 4G LTE connectivity via GM’s OnStar service that transforms the vehicle into a rolling Wi-Fi hotspot. Cruise control is only offered as a factory option to fleet buyers. However, it is possible to swap the stock steering wheel for one with cruise buttons, and it will fool the car’s engine control unit into thinking you have that feature. Expect to pay about $300 for the part plus installation (if you don’t fancy tackling the job yourself) if you want to add it. LT models would add LED daytime running lights and taillights, upgraded cloth upholstery, cruise control, satellite radio, and remote engine start. The Premier would add driver aids, rear-obstacle detection, a power sunroof, fog lights, synthetic leather upholstery, power driver’s seat, heated front seats, Bose-brand audio system, and keyless access with pushbutton ignition. They’ll probably increase slightly. Chevrolet held the line on LS and LT pricing for 2018, while raising the base price of the Premier by over $1,200 to account for more standard equipment. Estimated base prices in this review include Chevy’s destination fee, which was $945 on the 2018 Trax. 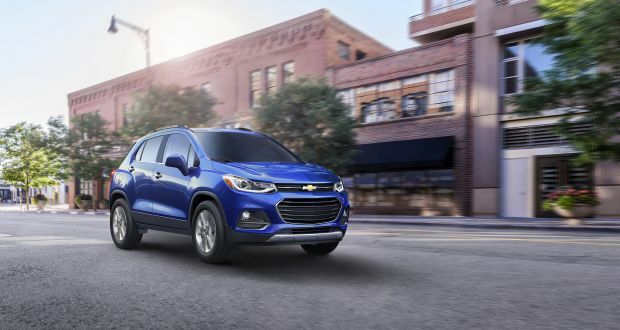 With the standard front-wheel drive, estimated base price is $22,000 for the 2019 Trax LS, around $24,000 for the LT, and about $28,500 for the Premier. All-wheel drive should again add about $1,500. Most major option packages will be confined to the LT grade. These would include the Convenience Package ($450 on the 2018 model), which adds an additional spare key, power driver-seat, and keyless access with pushbutton ignition. The Sun and Sound Package ($1,400) adds the Premier’s power sunroof and Bose audio. The Driver Confidence Package ($495) adds the Premier’s safety features. Exclusive to the LT would be the Redline Edition ($1,350), which includes upgraded cloth/leatherette upholstery, a black grille, and 18-inch black finish wheels with red accent stripes. Premier models would offer the Midnight Edition Package ($500), which adds jet black leatherette upholstery, “Mosaic Black Metallic” paint with body-color door handles (the stock ones on the Premier have a chrome finish), and specific floor mats. At what should be about $27,500, an AWD Trax LT with Driver Confidence and Convenience packages would be our pick for best value in this lineup. Release date for the 2019 Chevrolet Trax is in the third quarter 2018. 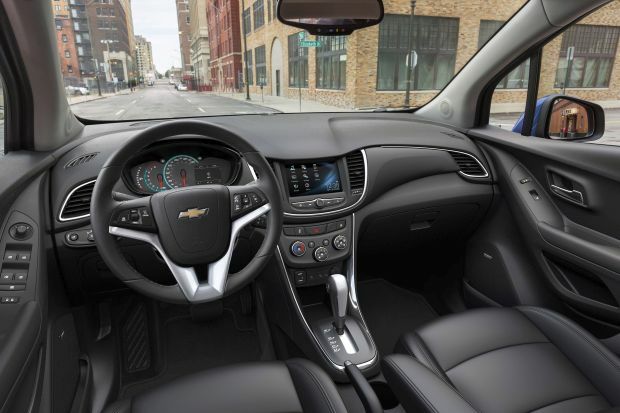 The inclusion of a full suite of driver-assistance features should be a priority for Chevrolet, though we don’t think these will be available until Trax’s scheduled 2021 redesign. In the meantime, we’d like to see some form of imbedded navigation system become available. On vehicles such as the Mazda CX-3, all you need to do is purchase an SD card with the mapping software on it, and it will automatically activate.